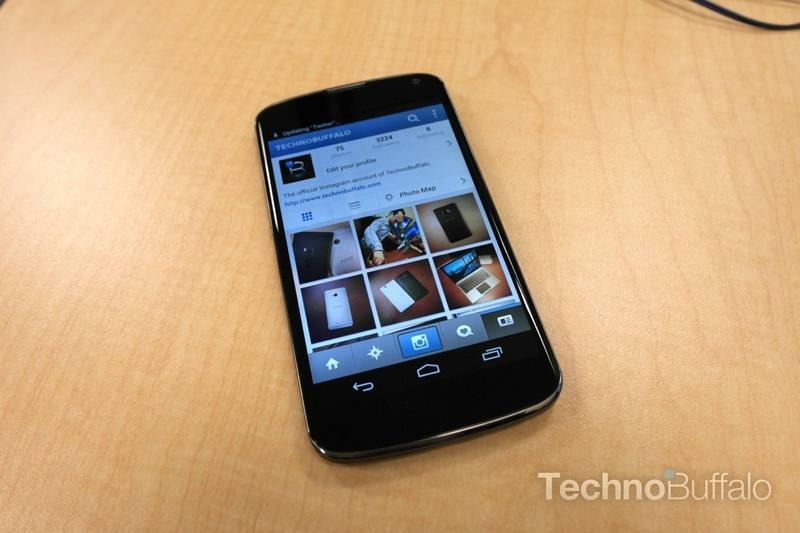 Nexus 4 review: The Best Nexus Device Yet? 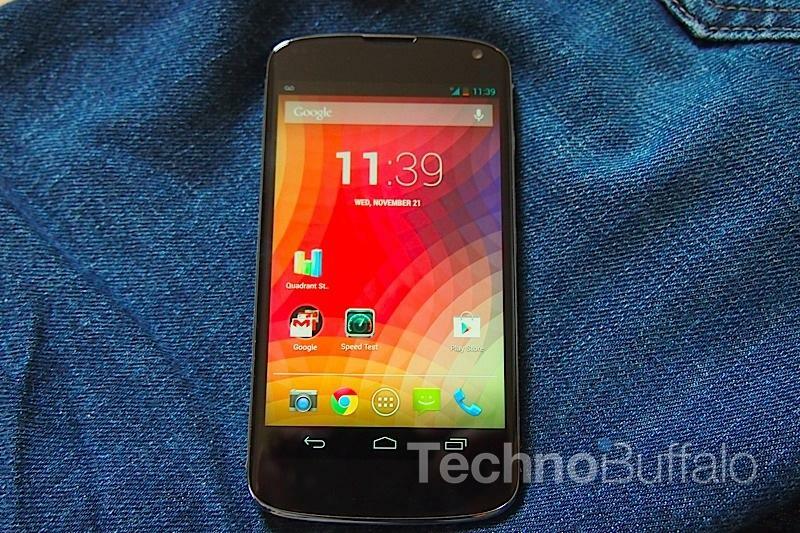 The Nexus 4 is Google's first smartphone to run pure Android 4.2 Jelly Bean. The operating system offers a few features that the previous iteration of Jelly Bean didn't, and the phone itself packs a serious hardware punch. 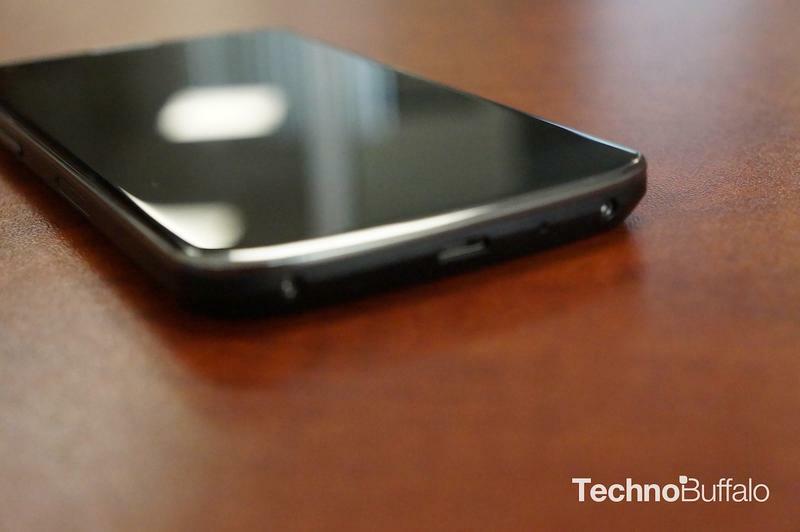 Still, it doesn't come equipped with 4G LTE support and it doesn't offer expandable storage. Are these deal breakers? That question and more are answered in the text below. 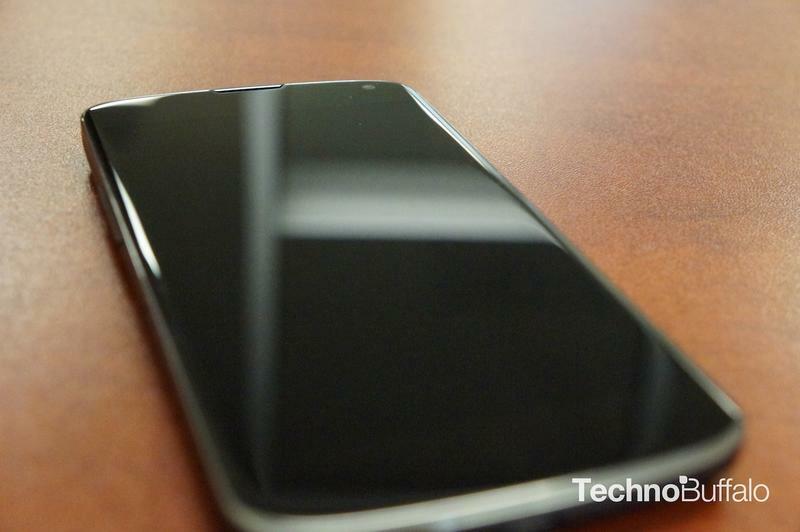 I was underwhelmed when I first picked up the Nexus 4 — not because its design isn't solid — but because I'd already sort of been treated to a look at it with the Optimus G, which is very similar in design. The front is dominated by an incredible 4.7-inch display that, when off, appears to switch from edge to edge. I love the beveled top, which slopes down to the slick and sparkly backside. It feels super solid, is easy to hold and isn't too heavy. I love the sparkle effect, and it reminds me a bit of the textures Samsung used to put on its Omnia line several years back. I don't really like the plastic border running around the phone, it takes away from the otherwise super premium look. There's a volume rocker in easy reach on the left-hand side, a 3.5mm headphone jack up top, a power button on the right side and a microUSB charging port on the bottom. 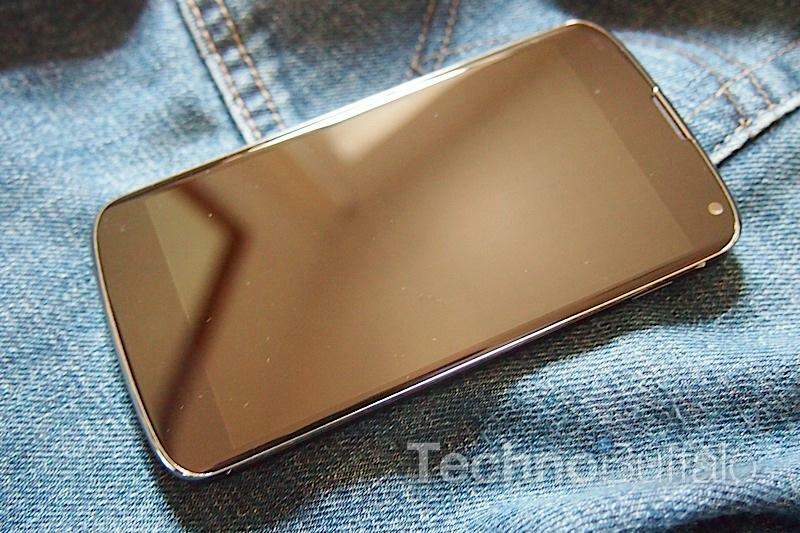 There's also a small microSIM card slot on the right side. Let's get into the nitty gritty specs now. 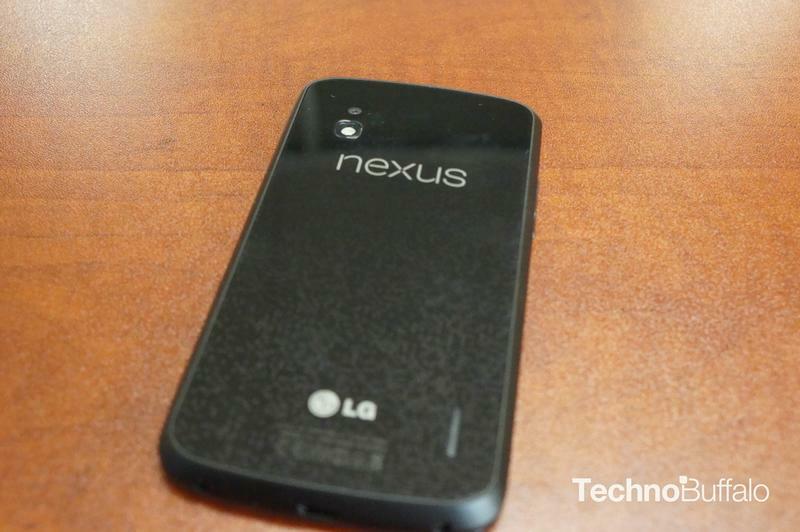 The Nexus 4 packs a Qualcomm Snapdragon S4 Pro processor, which is arguably one of the more powerful chips on the market right now. 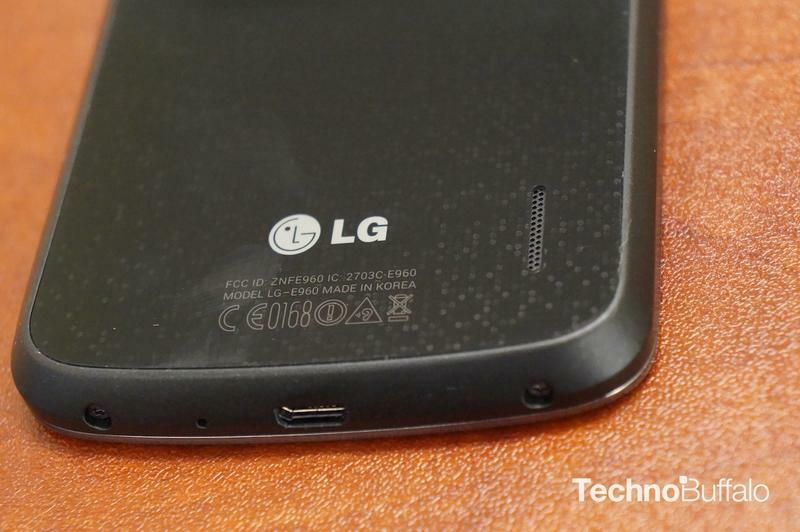 Multiple reports have confirmed LTE support on board, but the phone itself doesn't use it. Instead, you're stuck with HSPA on AT&T or HSPA+ on T-Mobile, which isn't necessarily a bad thing. The speeds are satisfactory and, since the phone isn't restricted by carrier approval procedures (off of T-Mobile, that is), you'll get the latest Android software first. Other hardware specs include 2GB of RAM, SlimPort HDMI (it uses the microUSB port), 8GB or 16GB of internal storage (ours has 16GB) and a 2,100mAh battery. My biggest gripe with the hardware is that you're locked in to either 8GB or 16GB of storage. That's not enough to store all of my music, videos and photos, but clearly it's a bit from Google to get you to rely more on cloud and streaming-based services. It's really a bummer there isn't a microSD card slot, but manufacturers are moving away from them across the board. The DROID DNA, for example, ships with just 16GB of storage and HTC said that's exactly what Verizon requested. 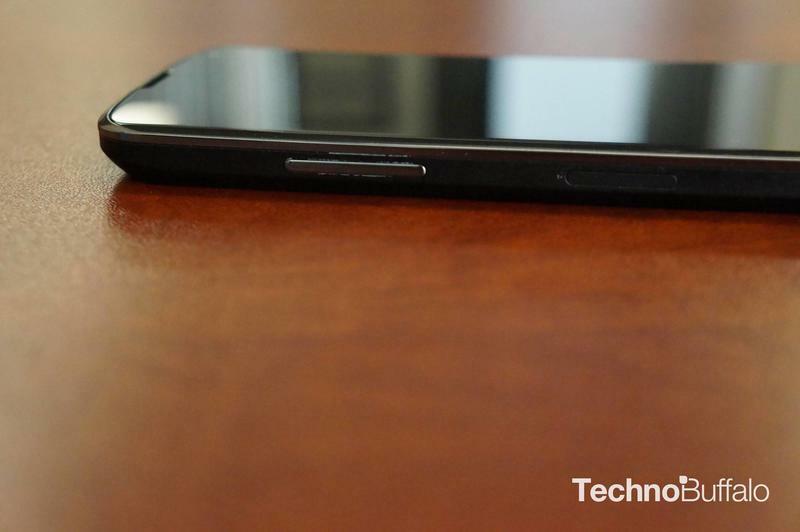 I would be remiss if I didn't discuss the Qi wireless charging support built-in to the Nexus 4. Jon Rettinger will be able to test this out fully in his video review, since he has our only Qi-certified charger (it shipped with our Lumia 920 review unit), but you can also buy wireless charging pads from Energizer to take advantage of the feature. It feels super solid, is easy to hold and isn't too heavy. 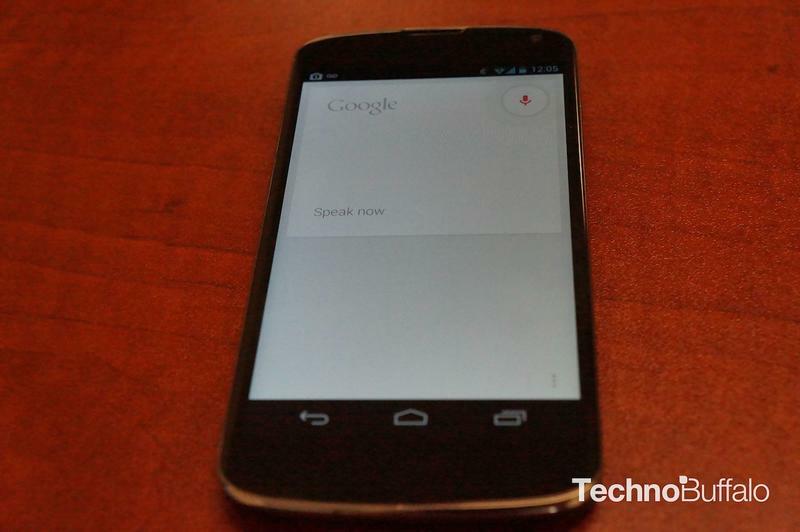 The big standout feature of the Nexus 4 is its operating system. It's the first phone on the market to launch with Android 4.2 Jelly Bean out of the box, and it's the best version of Android I've ever used, despite having an odd bug that won't let you use December as a month for an event inside the "People" app. Everything is super smooth and feels natural, there aren't the weird software hang ups that I've experienced on other devices, although I bet the quad-core processor and 2GB of RAM definitely help. There are a few enhancements over Android 4.1 Jelly Bean, but nothing incredibly major, which is probably why Google stuck with the Jelly Bean moniker. Some notable enhancements include better camera controls, a 360-degree panorama option, better notification management and more. My favorite new option is the keyboard, which allows you to swipe from letter to letter to create a word. It's just like Swype, the third party application, but I find that it's a smoother experience. Deep down, though, I'm still a tap-type writer. I love the new lockscreen, which can now be customized with widgets. I can, for example, quickly see my Gmail inbox or my calendar appointments without unlocking the phone. This is so useful that I'm actually curious why it hasn't been included in earlier releases of Android. Google Now and Google Search have been refined, although I couldn't notice a huge difference in what was offered in Android 4.1 Jelly Bean. Google Now quickly tells me the weather and the traffic before I head out for the day, and there's support for identifying flight times and other notifications in your email. If a flight is coming up, it will automatically notify you of the details in your notification shade. Google Search lets you use your voice to look up anything and I prefer it to Siri. I'm a (recent) Brooklyn Nets fan and it keeps me up to date on the score and when the game is coming on, so that I don't miss any details. I can also quickly ask any question, like how tall the Empire State Building is, and receive a response in mere seconds. It's amazingly accurate at understanding voice inputs, too. I also love that Google added a small icon in the notification shade for quickly bringing up commonly used settings. I can tap it at any time and view my own Google profile, change the brightness, access more settings, turn WiFi on or off, check the battery level percentage, turn on Airplane mode and control Bluetooth. 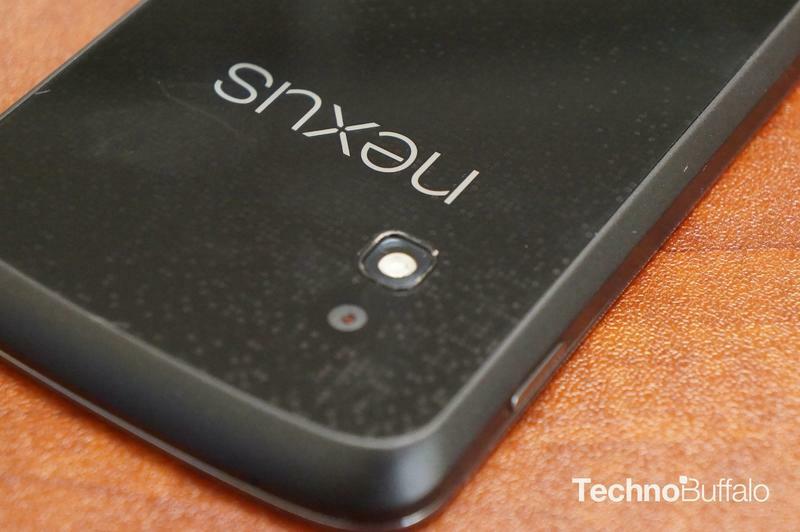 The Nexus 4 has a Snapdragon S4 Pro chip similar to the one used in the HTC DROID DNA. I ran our standard Quadrant benchmark and received a score of 4,775, which is far below the score the HTC DROID DNA received (7,461). From an overall user perspective, however, the device felt super snappy at all times. Applications loaded almost instantly. Call quality on the Nexus 4 was on a par with most of the other high-end smartphones I've tested recently. There weren't any standout features, but I was easily able to hear the other caller, didn't experience any dropped calls in New York City, and thought the speakerphone was loud enough during a test call to my cable provider. 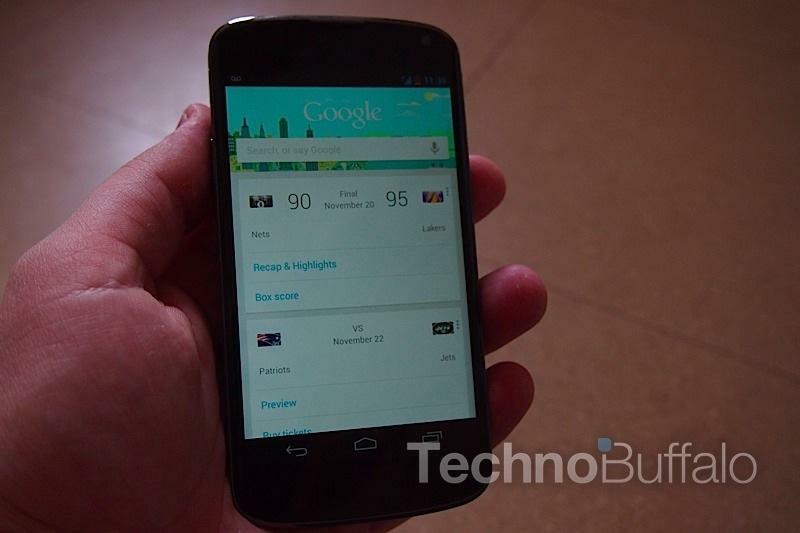 Again, 4G LTE isn't active on the Nexus 4, even if it has been found to be lying dormant. I ran the SpeedTest application and, for whatever reason, it kept trying to place me in Wisconsin even with the GPS activated. I also noticed that it wasn't updated to take advantage of the whole screen, which I haven't seen before. I'm guessing the location issue was SpeedTest's problem, since Google Maps found me right away. That said, I received an average download speed of just about 1Mbps on AT&T's 3G network, which is pretty terrible compared to LTE speeds. I tested again with a T-Mobile SIM card and received a download speed in my apartment of 1.31Mbps and an average upload speed of 1.18Mbps. Again, this was on T-Mobile's HSPA network and not the carrier's faster "4G" HSPA+ 42Mbps network. However, there are only a few limited areas in New York City with that coverage so, unless you're lucky to be in one of them, expect the aforementioned 3G speeds for the most part. The 2,100mAh battery was able to get me through a full day of usage, but I found it drained particularly fast while I was shooting photos. I went outside with 8 percent left and, after about 15 minutes, the phone turned off. It generally idled pretty well, too, so I was able to wake up in the morning with a bit of a charge left. Overall, even though it doesn't run on 4G LTE networks, it has a quad-core processor, so you'll want to keep your charger nearby on longer trips. 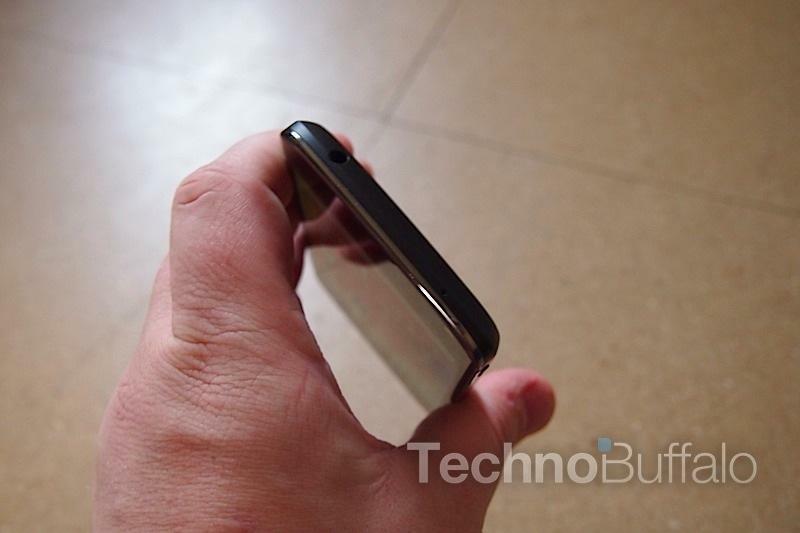 The Nexus 4 is equipped with an 8-megapixel camera on the backside and a 1.3-megapixel front-facing camera for video chat. The photos aren't amazing, and I saw better shots from my iPhone 5 and Lumia 920, but they're OK. Oddly, they look really bad on the device's screen itself but then look better when viewed back on a computer. 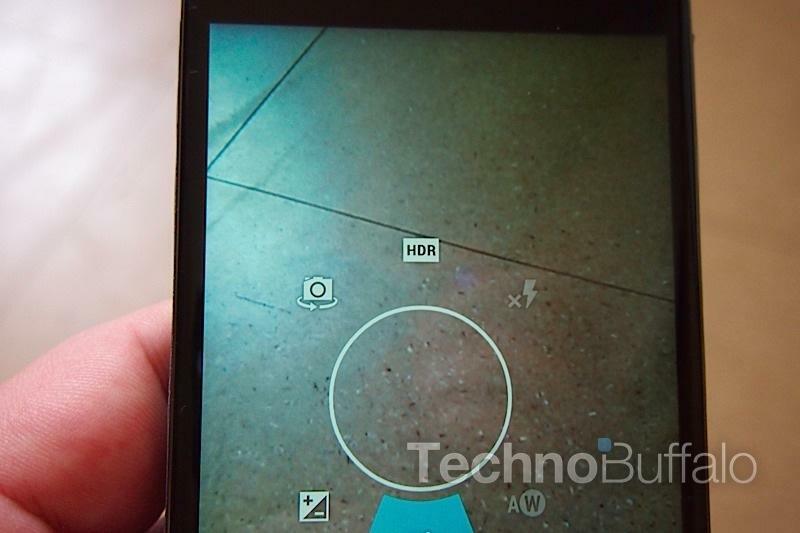 The new 360-degree panorama feature is neat, but others can only view those shots with an Android 4.2 device or from Google+. It's also a bit frustrating to use, I had to snap five different panoramas to get the picture almost accurately represented, and one time it said I was moving too fast even when I followed the guidelines. Generally, this isn't a reason why I would pick up the phone; it's just a somewhat neat extra. The 8-megapixel camera is capable of recording 1080p video, but it turned out to be loaded with artifacts when I played the clip back on my computer. Also, from what I could distinguish, it lacks continuous auto-focus, which is a staple on most smartphones these days. 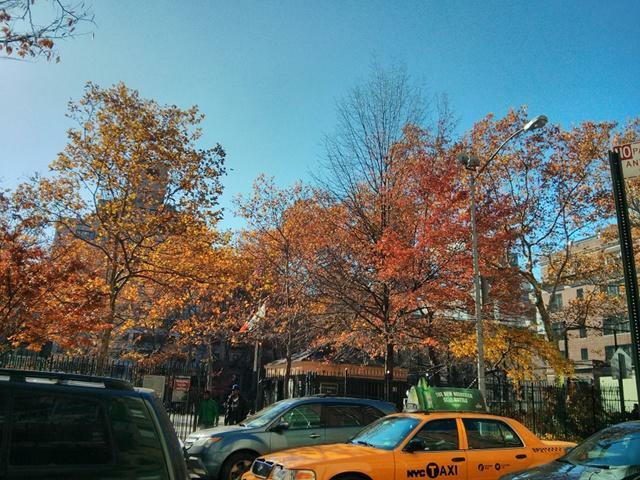 The front-facing camera was decent, but again I wasn't blown away from its performance. I really like the wide-angle lens on the HTC Windows Phone 8X and would like to see that as the new standard on front-facing cameras because it allows you to capture more. 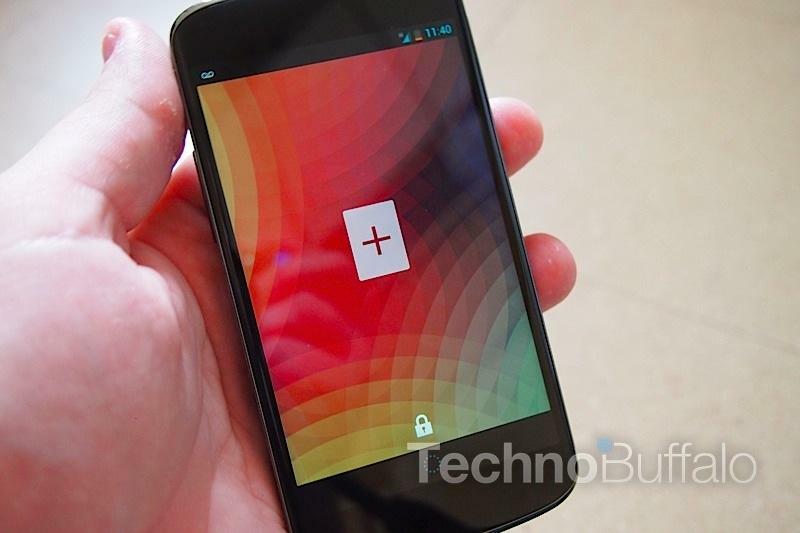 I won't dock the Nexus 4 because it doesn't have one, but I prefer them. I really like the Nexus 4 from a software perspective and, in terms of hardware, I think it's the nicest Nexus device yet. The display is pretty fantastic, the battery life is decent and the software will always be the newest release available from Google. That's a bonus to plenty of people, especially those who are tired of waiting around for Android releases to get through carrier and manufacturer approval. I'm kind of bummed that the phone only runs on HSPA+ and HSPA networks, for T-Mobile and AT&T, respectively, but it's not a crazy deal breaker. I find that I'm usually on Wi-Fi anyway, although anyone who relies on streaming music and movies may prefer to buy an LTE-equipped smartphone. I also wish it had more storage, 16GB at the high-end just isn't enough for me. Look, at the end of the day this phone is for developers and those who simply want the latest version of Android first. This phone isn't really for the everyday consumer, otherwise more carriers would offer it and it would pack consumer-friendly features like 4G LTE support and more storage. Is it a great phone? Absolutely. Is it the best Nexus yet? I'd argue yes, it is. 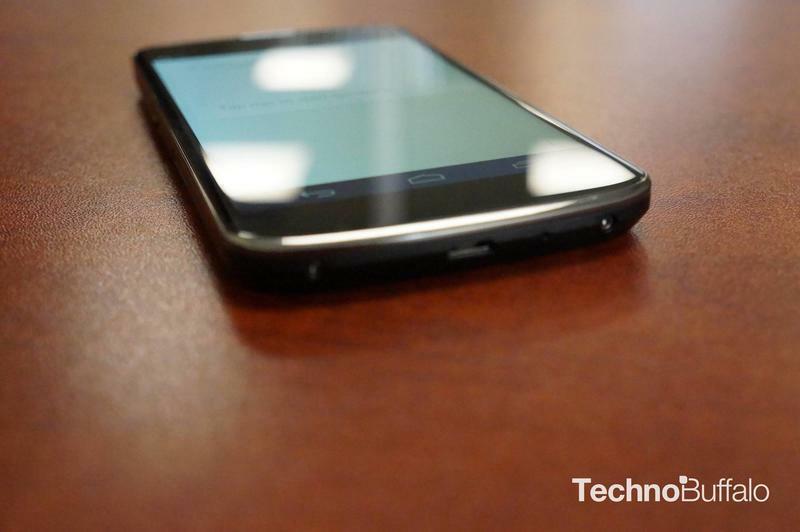 But should you buy it over the Galaxy S III, the DROID DNA or the bevvy of other high-end Android smartphones? 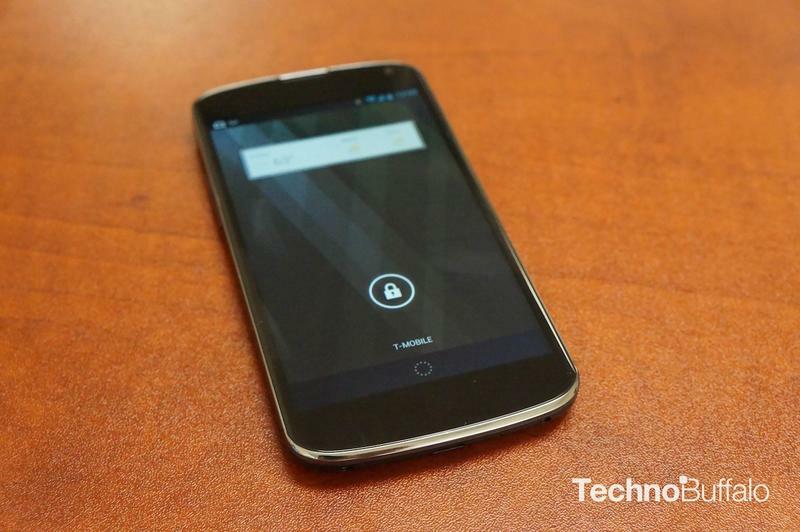 Not unless you want an unlocked phone and Android 4.2 right now. I think most consumers would be best suited with a more powerful 4G LTE device, even if its price point is pretty sweet. The display is pretty fantastic, the battery life is decent and the software will always be the newest release available from Google. That's a bonus to plenty of people, especially those who are tired of waiting around for Android releases to get through carrier and manufacturer approval. I'm kind of bummed that the phone only runs on HSPA+ and HSPA networks, for T-Mobile and AT & T, respectively, but it's not a crazy deal breaker. I find that I'm usually on Wi-Fi anyway, although anyone who relies on streaming music and movies may prefer to buy an LTE-equipped smartphone. I also wish it had more storage, 16GB at the high-end just isn't enough for me.